If you’re a fan of military thrillers, this has been a good week for you: there’s news that Kevin Costner may join Kenneth Branagh’s Jack Ryan reboot, Christopher McQuarrie is adapting Tom Clancy’s Without Remorse and the first trailer for Kathryn Bigelow’s Zero Dark Thirty film has premiered. 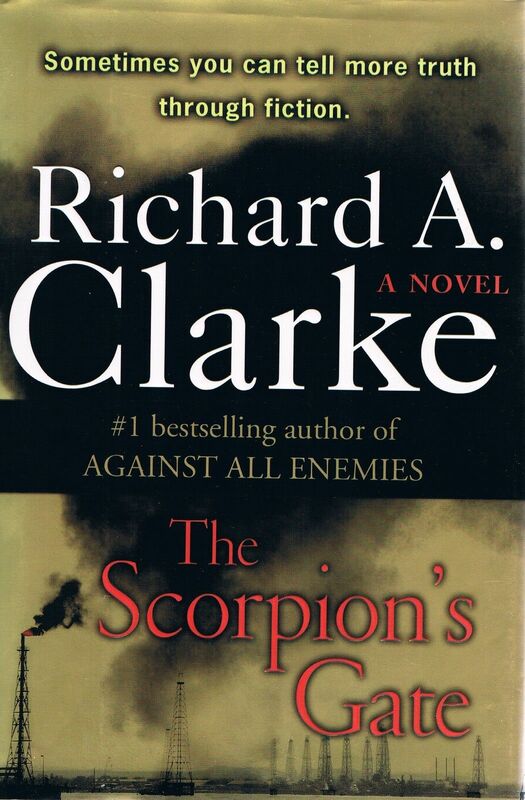 Now there’s news of Oscar-nominated screenwriter Sheldon Turner being attached to Sony’s adaptation of Richard A. Clarke’s novel, The Scorpion’s Gate. The geopolitical thriller centers on a coup that supplants Middle Eastern rule and incites a struggle for power that could result in all-out nuclear war. Hit the jump for more on The Scorpion’s Gate. From the noted counterterrorism expert and #1 bestselling author comes an astonishing fiction debut-a novel of terrorism, warring nations, and political treachery… that could happen tomorrow. For three decades, Richard A. Clarke worked in the White House, State Department, and Pentagon. As adviser to four presidents, he traveled throughout the Middle East, visiting palaces, military bases, and intelligence centers, meeting rulers, soldiers, and spies. Some of what he found appeared in Against All Enemies. Much more of it appears here. In an extraordinary geopolitical thriller filled with the kind of cutting-edge authenticity only someone on the inside could bring, Clarke takes readers just five years into the future, when forces both in the Middle East and the United States are at work to launch another war. But this time, it could be bigger. This time, it could be nuclear, and spread to Asia and beyond. A coup has finally toppled the sheiks of Saudi Arabia, and put a determined but shaky Islamic government in its place. Everywhere, the scent of oil has begun to attract the scorpions, and among them are men in Washington and another capital ready to strike a devil’s bargain to fundamentally realign the map of the Middle East. The plans are not the same, however-though some of the planners think they are. Hidden agendas, fierce ambition, conflicting loyalties, faulty intelligence, catastrophic miscalculation-soon the dominos will start to fall, and not even the efforts of a few dedicated men and women on the outside may be able to stop an unstoppable folly. . . .